One of the most efficient booking modules for the Opencart website is the Opencart Marketplace Booking and Reservation module. As the module helps enable the store owner and various seller to add a booking event to the website. 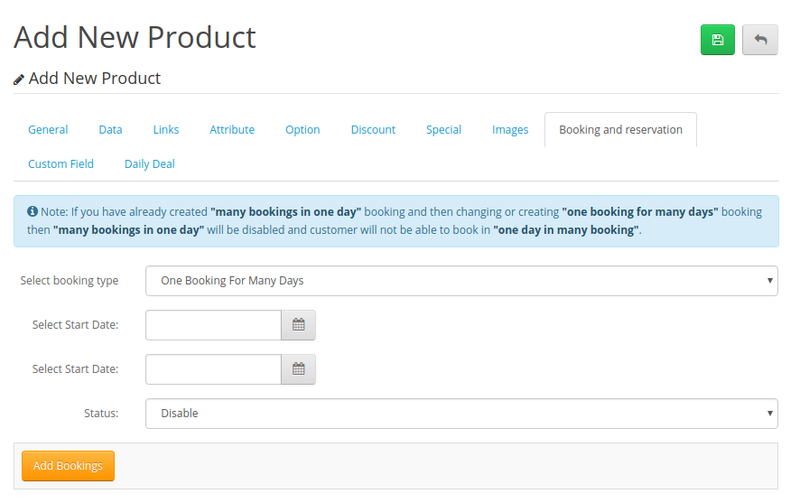 The module offers two types of booking products i.e “One booking for many days” and “Many Bookings in one day”. 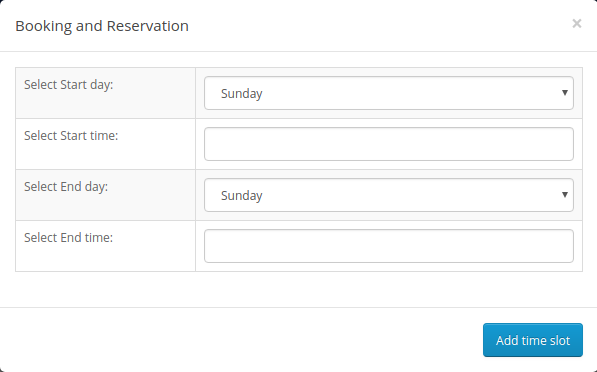 This will allow you to add various booking facilities to your Opencart website. No Page Reloads: The booking dates are created on the ajax based which will allow date selection page to reload faster without any reloading time. Thus optimizing the workflow. Dynamic Management: The store owner and sellers will be able to dynamically manage the booking products with real-time updates on the front end. 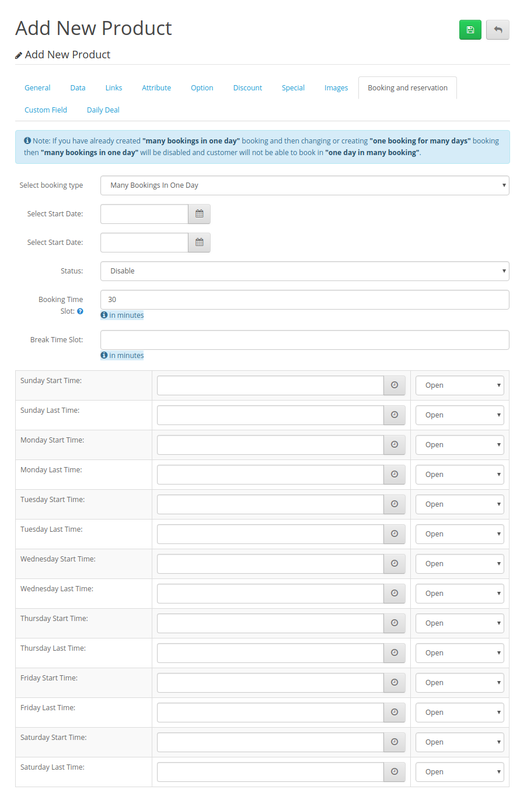 These booking types can be used to add different variable events. Any repetitive events like the Movie Show Tickets can be added under the following booking type. The respective seller(Theater Owner) will set the time slot duration of the event along with the start and end dates. If require can even disable any day or even set the interval durations. The Doctor’s appointment is an event which a seller(doctor) adds to its site which will allow the customer to book an appointment for a particular day. A Rock Concert ticket which can be a day event for multiple days can be added by the show organizers to the website. The customer(fans) can book tickets for the event of their favorite rock star in just a few clicks. Hotel Booking is one of the most known and vastly purchased booking types of all. The hotel owner/host creates the booking for various days. The guest can book the hotel rooms for any number of days as required. With this module, Renting Car business can also run smoothly. Car owners can list their cars with respective time slots for the days. Many of the Online Library owners provide lending of their books for a certain period of time. With our module, such type of booking can be possible for any lender just from their homes in a few clicks of their mouse. This extension is an add-on of the Opencart Multi vendor Marketplace module. In order to use this extension, you need to first install this module. We also have an advanced version of this module Opencart Marketplace Advanced Booking and Reservation. If in case you have any query or question, you can revert us at support@webkul.com. You can also check our video tutorial for a better understanding of the module.